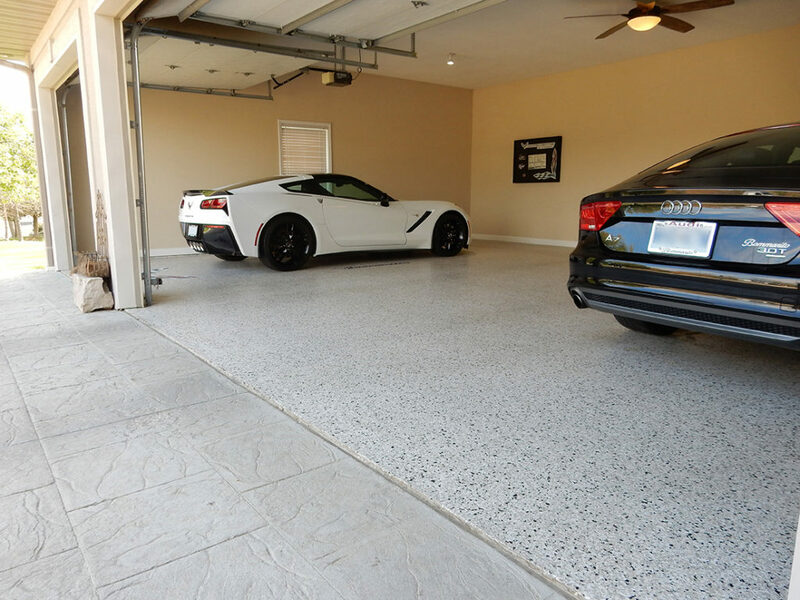 Dwayne worked with the homeowner in order to provide him with the exact custom floor he had in mind. 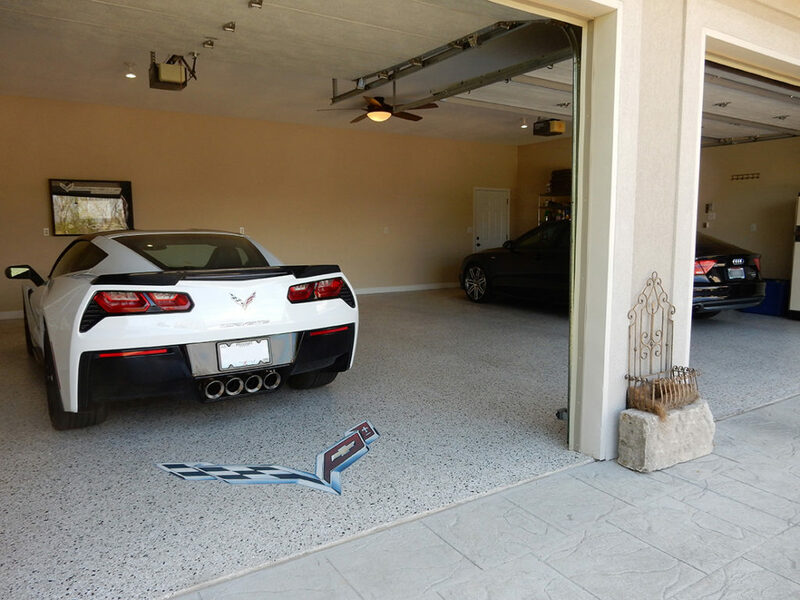 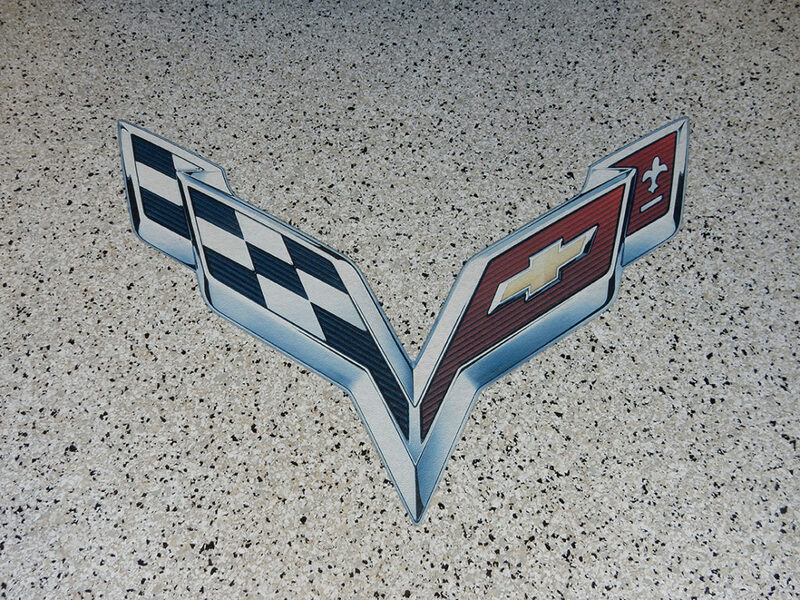 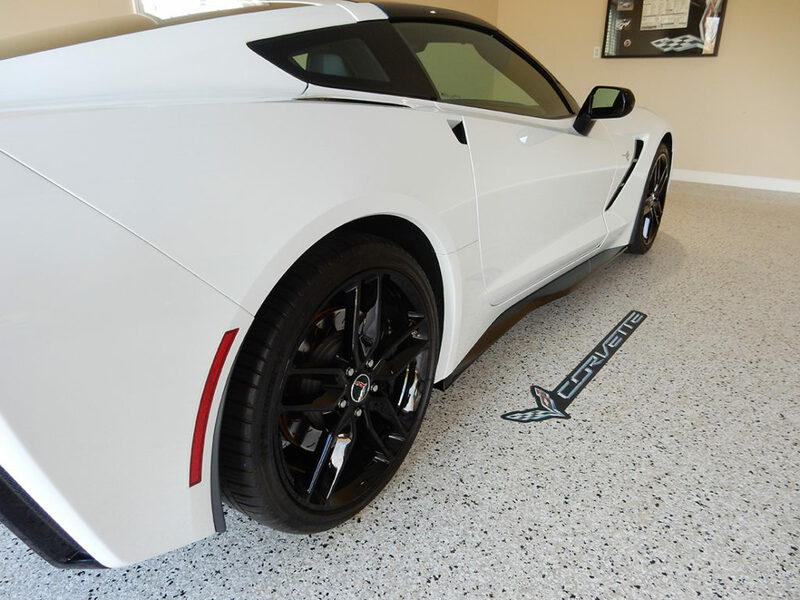 The owner wanted the floor to complement his Corvette. 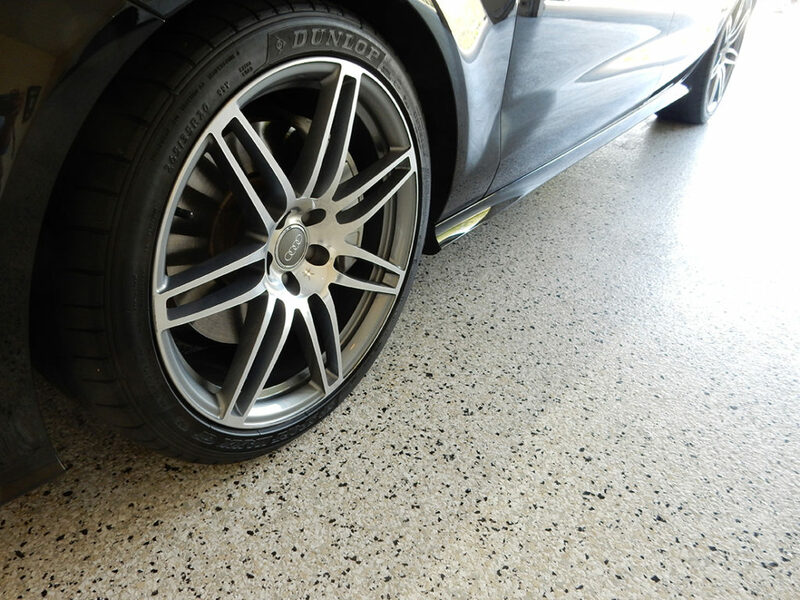 Dwayne utilized a ½” chip, bright white with black, silver, and white flecks to achieve the final desired result.